or sheet music open and flat? to stay in control of your sheet music ? Stop the breeze turning the pages for you! 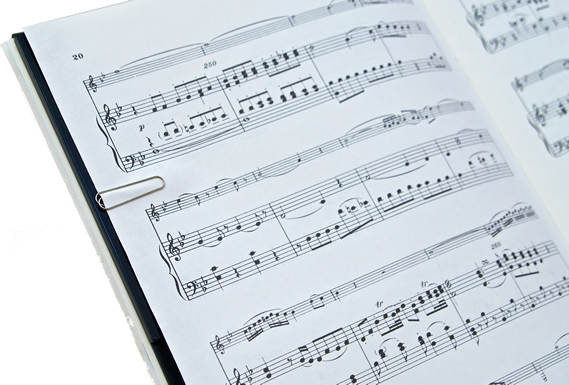 Watch how YouTurn works in a music book or on a music stand. 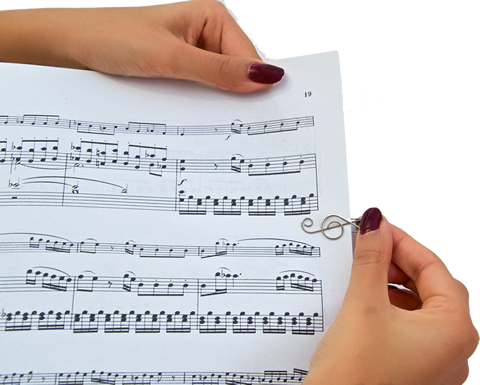 Due to its magnetic design, this sheet music page holder enables you to turn your pages quickly and they will stay flat. Musicians! Do you face any of these problems? 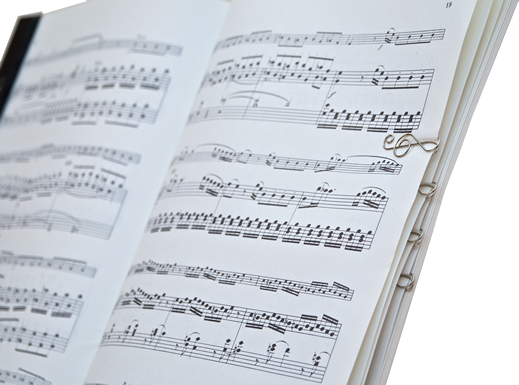 Trouble keeping your music book or sheet music open and flat, either on a music stand or on the piano? 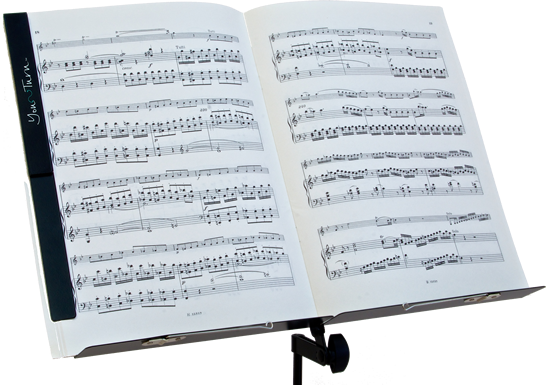 Do you play outside using a music stand, and sometimes struggle to stay in control of your sheet music? YouTurn can keep the book open where you want it to be and stop the pages flopping back. 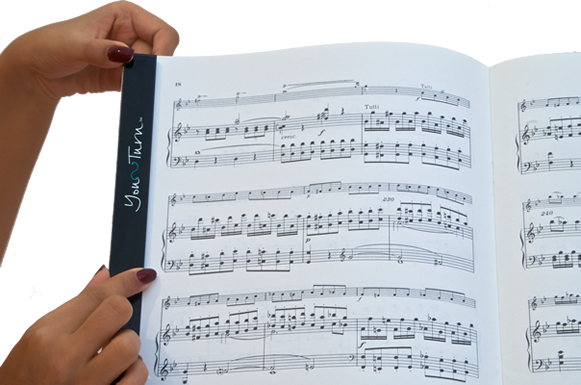 More than simply a music book holder or sheet music page holder, YouTurn will help you with fast, accurate page turning with pages staying in place once turned, and can also reduce your chance of turning two pages at once by mistake. 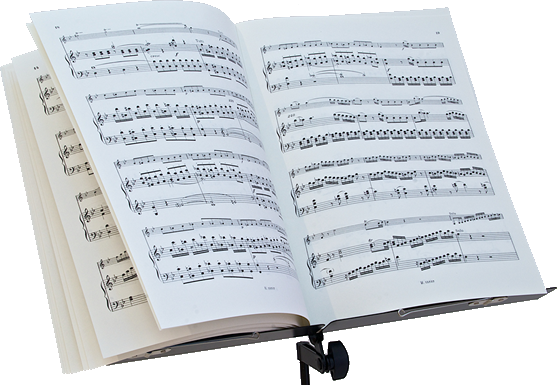 YouTurn can stop your sheet music flying off the music stand, keep turned pages in place, and stop the breeze turning the pages for you! 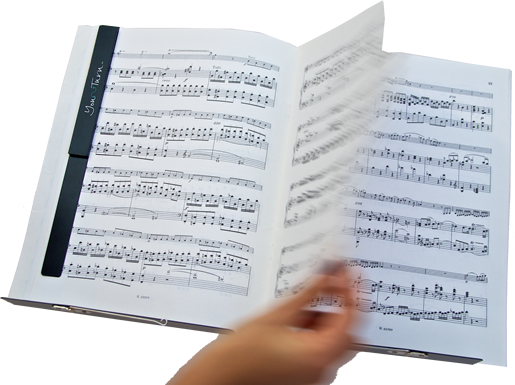 Attach the magnetic strap to the left-hand side of an open music book and place a clip on the right side of each page you will be turning. 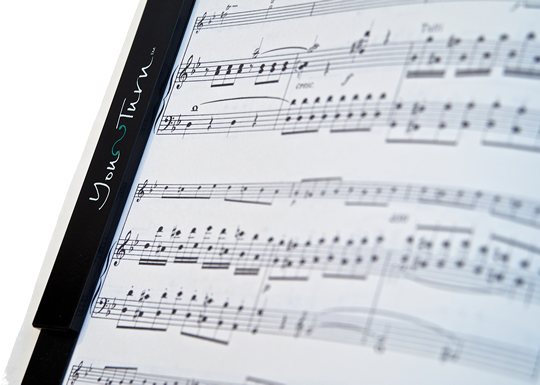 With this sheet music page holder, when you turn the page, it stays flat! The magnet and clips do all the work!